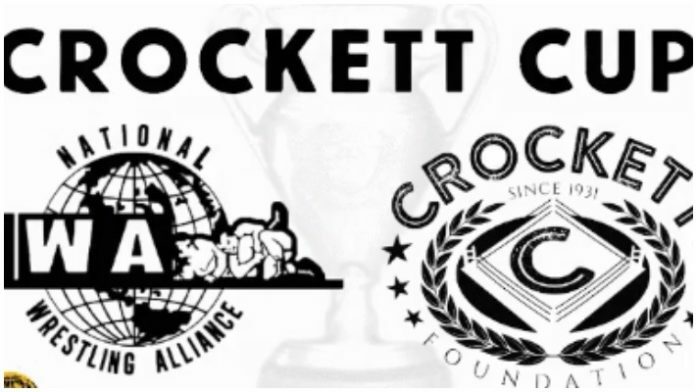 The NWA announced the return of the Crockett Cup tonight at their 70th Anniversary Show. The legendary tag-team tournament only lasted 3 years but left an indelible mark on wrestling during the mid-1980s. Road Warrior Animal made the announcement, saying the tournament would be held in 2019. Animal had just managed the team of Crimson and Jax Dane, the War Kings. Dane and Crimson wore Road Warriors inspired makeup and ring gear. The first Crockett Cup was contested by 24 teams in 1986. The Road Warriors defeated Magnum TA and Ronnie Garvin in the finals of that tournament. Other notable names in the tournament that year included the Sheepherders (aka the Bushwackers), Rock N Roll Express, the Fantastics, and Arn Anderson & Tully Blanchard. The second tournament in 1987 was won by Nikita Koloff and Dusty Rhodes, collectively known as the Super Powers. They beat Lex Luger and Tully Blanchard in the finals. The Road Warriors had been knocked out of the tournament that year by the Midnight Express. Finally, Lex Luger and Sting won the final Crockett Cup in 1988. They defeated Arn Anderson and Tully Blanchard in the finals that year. Billy Corgan took ownership of the NWA on October 1st, 2017. Since then the brand has been rebuilding through their weekly Youtube docu-series.